Strathearn Pest Control has professionally trained technicians based around Central Scotland. Our trained technicians will respond to emergency call outs within 24 hours. 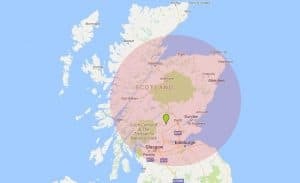 Whether you are in Perth, Dundee, Stirling, Fife, Edinburgh, Central Scotland, Angus, Clackmannanshire or further afield, we have a technician who can advise on your pest problem.